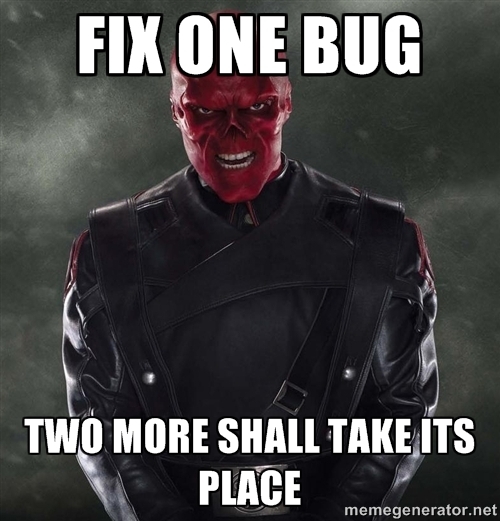 Fix One Bug Two More Shall Take Its Place Developer Meme. Such is life. Fix one thing, two more pop up. Just like gremlins.